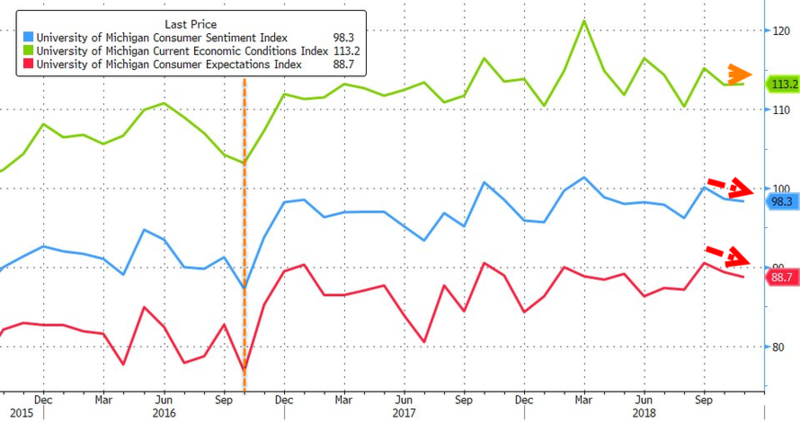 After sliding across the board in October, November's flash University of Michigan Sentiment was expected to extend that decline and it did , dropping from 98.6 to 98.3 (though better than the expected 98.0). Expectations slipped lower as 'current conditions' flatlined. Income expectations have improved (reversing October's plunge) and consumers anticipate continued robust growth in employment, but consumers also anticipate rising inflation and higher interest rates. 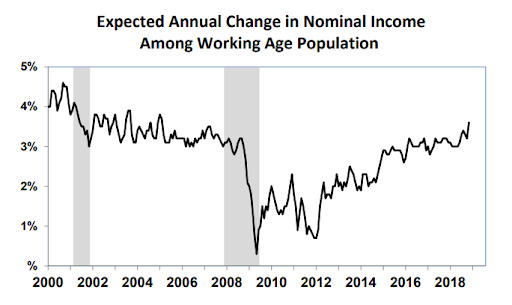 Among the working age population, those between the ages of 25 and 54, the anticipated annual gain in nominal household income was 3.6% in November, the best in the past decade. 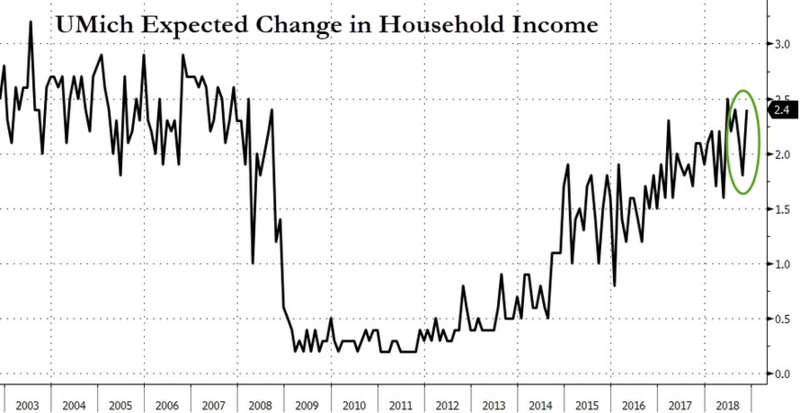 While these positive and negative changes act to offset each other in the aggregate, younger consumers have benefited most from more positive income trends and older consumers are more likely to complain about the erosion of their living standards due to rising prices.